A rainy August and plenty of long weekends is the perfect excuse to stay in, crawl under the covers, and curl up with your favorite TV shows. And while this is a good time to catch up on the shows you've missed, why not have a throwback marathon while you're at it? Whether you're a seasoned K-drama addict looking for a rewatch or a curious newbie who wants to expand her hallyu knowledge, here are some of the biggest classic dramas you can stream right now. Considered as one of the first shows to kick off the K-drama craze in the early 2000s, Autumn in My Heart is about two girls, Eun Suh (Moon Geon Young) and Shin Ae (Lee Ae Yung). Their high school rivalry heats up even further when they find out that they were accidentally switched at birth! This award-winning series is the first installment in the immensely popular Endless Love TV franchise, which eventually spawned three more shows. One of the earliest K-drama rom-coms to hit screens was this old favorite starring Song Hye Kyo and Korean superstar Rain. The former plays Ji Eun, an aspiring writer, while the latter plays Young Jae, a pampered and narcissistic actor who accidentally buys her childhood home. In a desperate bid to get her house back, Ji Eun enters into a contract marriage with him where tempers immediately arise and sparks soon fly. Set in an alternate universe where modern Korea is still ruled by its monarchy, Princess Hours follows the life of Crown Prince Lee Shin (Ju Ji Hoon), a smug and indifferent heir to the throne. After his father (a.k.a. the king) falls seriously ill, he must now find a suitable bride so he can ascend the throne. Enter Chae Kyeong (Yoon Eun Hye), a high-school girl who suddenly finds herself betrothed to Prince Lee Shin. If you grew up with Taiwan's Meteor Garden, then you're probably already familiar with South Korea's version of the story. Jan Di (Hye Seon Ku) is an ambitious scholar attending a prestigious private high school. There, she immediately clashes with a group of notoriously handsome and wealthy boys dubbed F4 (Lee Min Ho, Kim Hyun Joong, Kim Joon, and Kim Bum). 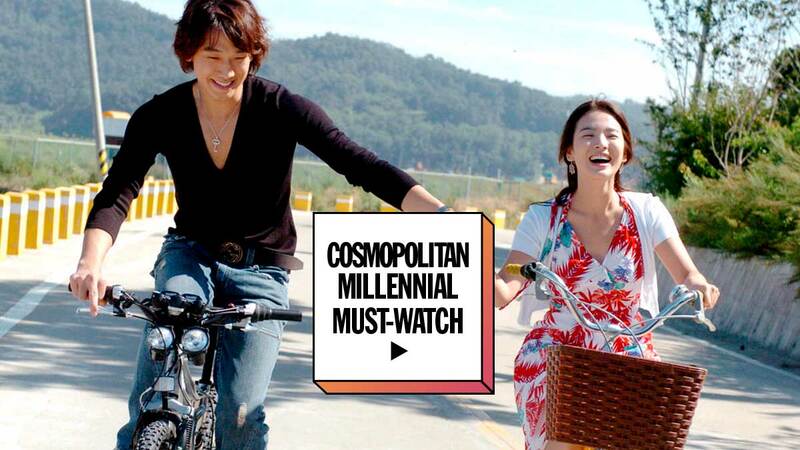 In this 2007 gender-bending classic, Gong Yoo portrays Han Kyul, an heir to a massive conglomerate. To prove himself capable of taking on the family business, he buys a run-down coffee shop, hiring only handsome male employees to attract female customers. Unbeknownst to Han Kyul, he hires a woman named Eun Chan (Yoon Eun Hye), who poses as a man to get a job. To make things even more complicated, he somehow convinces the "male" Eun Chan to be his boyfriend so he can avoid being set up on blind dates. Joon Sang (Bae Yong Joon) is a talented music student with a troubled childhood. Just as he meets and falls for his classmate, Yoo Jin (Choi Ji Woo), he befalls a tragic accident and loses all of his memories. 10 years later, Joon Sang is now an award-winning architect and plot twist, Yoo Jin's interior design firm has been tasked to work with them! Despite airing over a decade ago, Winter Sonata continues to draw plenty of fans to Namiseom, the South Korean island that has since become a huge tourist destination. Based on a Japanese manga of the same name, this hugely successful series stars Lee Min Ho as Yoon Sung, a highly skilled I.T. engineer working with the South Korean President's team. Unbeknownst to the government, Yoon Sung is out for revenge after his father, a former presidential bodyguard, was killed in a covert operation. He meets and teams up with a bodyguard named Kim Na Na (Park Min Young), as they expose corruption and eventually, fall in love. Easily the biggest and most critically acclaimed K-drama to hit screens in 2009, Iris also happens to be one of the most expensive shows ever produced. It centers on two best friends (Lee Byung Hun and Jung Joon Ho), who are recruited into a secret black ops team where they are caught in a love triangle and an international conspiracy.